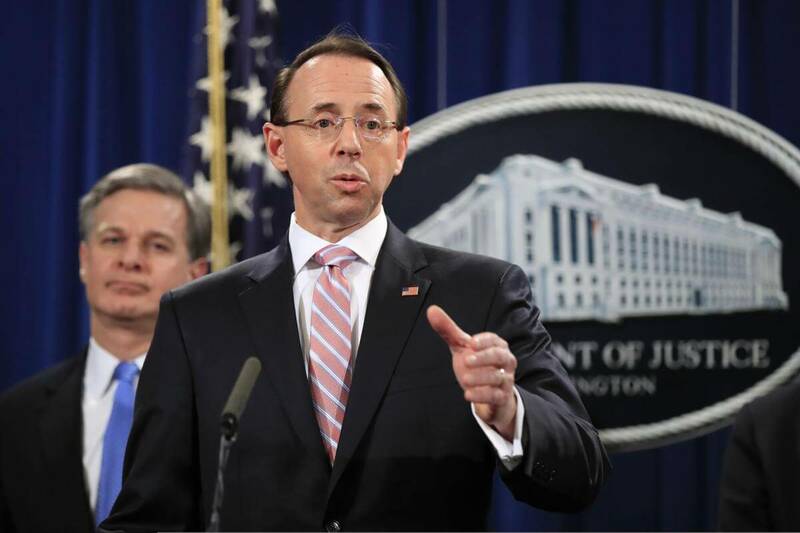 Washington DC: US Deputy Attorney General Rod Rosenstein has revealed that charges have been brought against two alleged Chinese hackers linked to China’s Ministry of State Security, who are accused of infiltrating computer systems to obtain confidential data. The US on Thursday called on China to act responsibly in cyberspace after a “broad cyberattack campaign” against intellectual property and “sensitive” commercial data breach that have been detected in the US, Europe and Asia, Efe news reported. In a joint statement, US Secretary of State Mike Pompeo and Secretary of Homeland Security Kirstjen Nielsen expressed the government’s “concern” about the activities they believe violated the 2015 cyber commitments between Beijing and Washington. Pompeo and Nielsen stated these cyber-criminals have put at risk “the customer networks of suppliers, including global companies in at least 12 countries”. “Stability in cyberspace cannot be achieved if countries engage in irresponsible behaviour that undermines the national security and the economic prosperity of other countries,” both US officials stated.